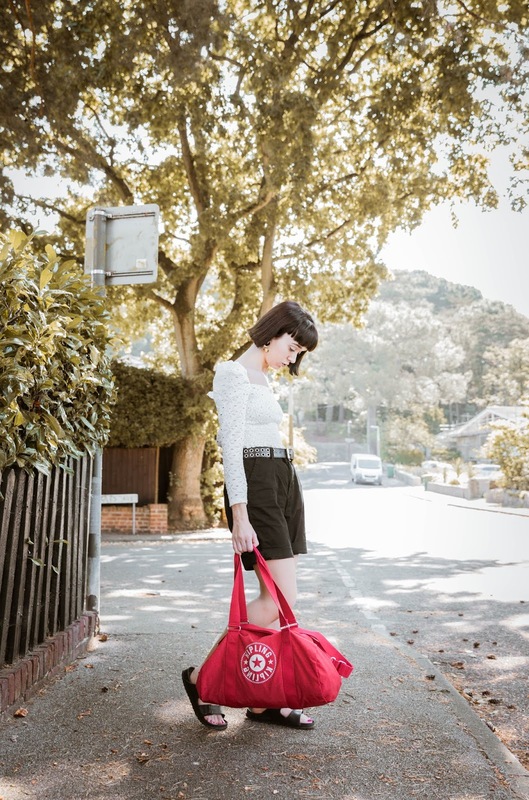 The Kipling New Classics collection is the latest offering from the accessory brand, that is all about embodying the 'back to basics' approach. 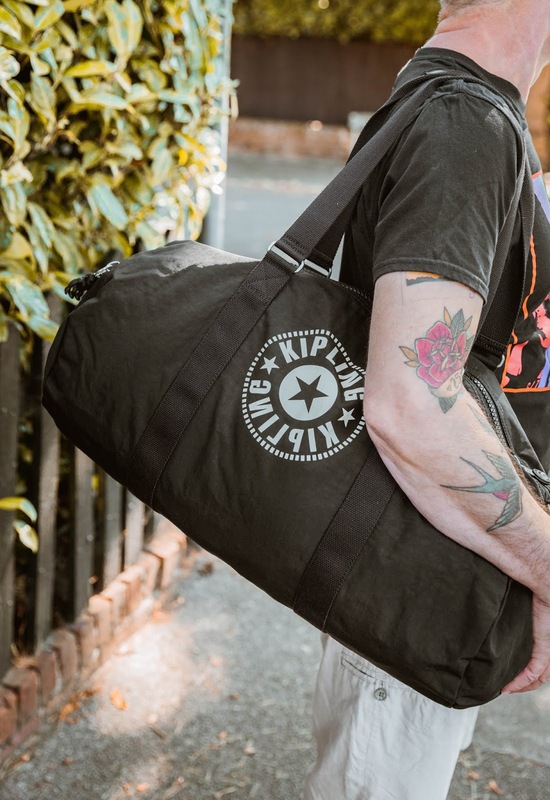 Kipling have revived their 90s roots, by giving their signature styles a 2018 update making this range perfect for people on the go, who want an easy to carry bag that is also water repellent against our unpredictable British weather. 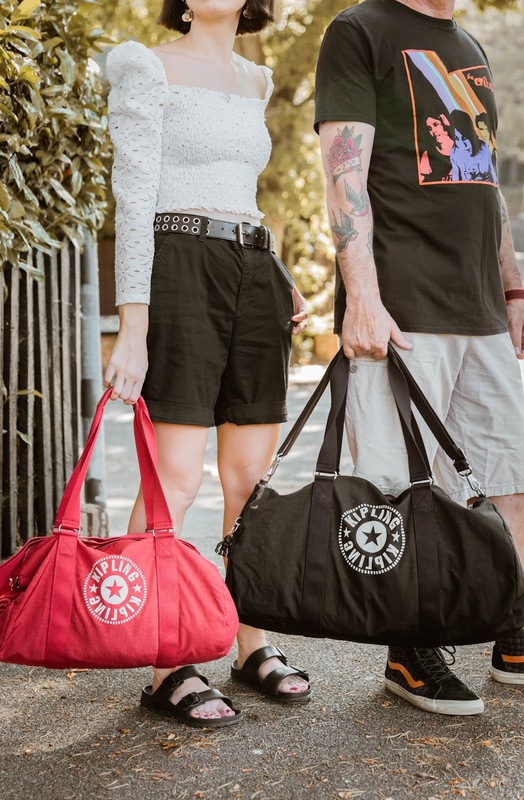 The collection is also unisex making it accessible for anyone wanting a classic statement bag. 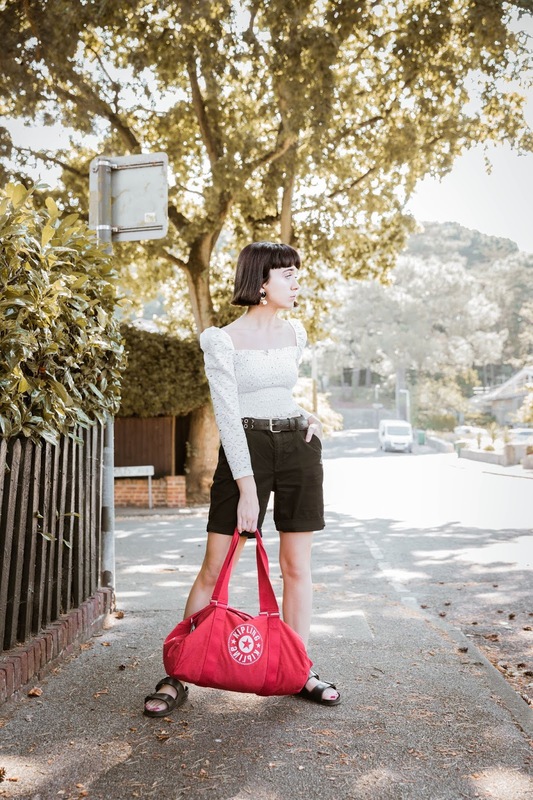 In today's post I'm showcasing how to style the Onalo (red version) and the Onalo L (black version) to show how versatile both bags can be as a unisex range. 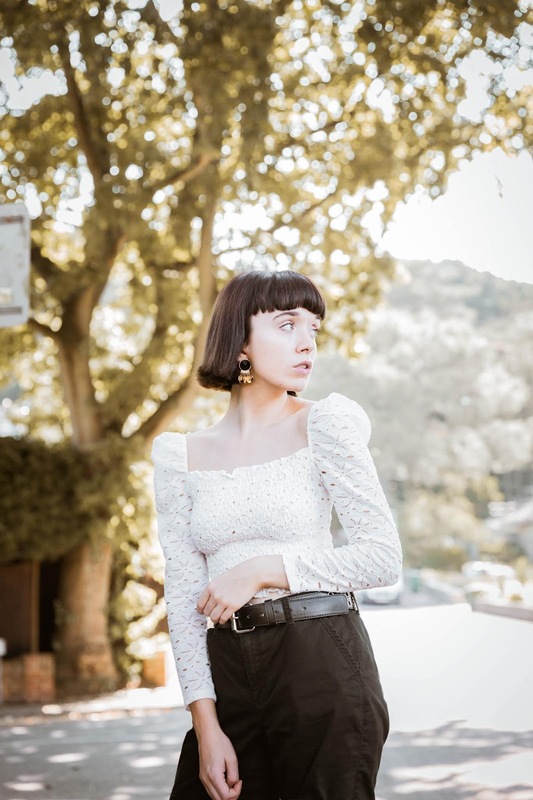 With the collection designed for people on the go, I wanted the outfits to embody that approach by styling us in clothing that we would tend to wear on a casual day. I decided to style the red bag against a white & black colour palette, as I really wanted the red to speak for itself. I choose to style it with a ultra feminine top paired with a pair of tailored black shorts, for an everyday set-up. 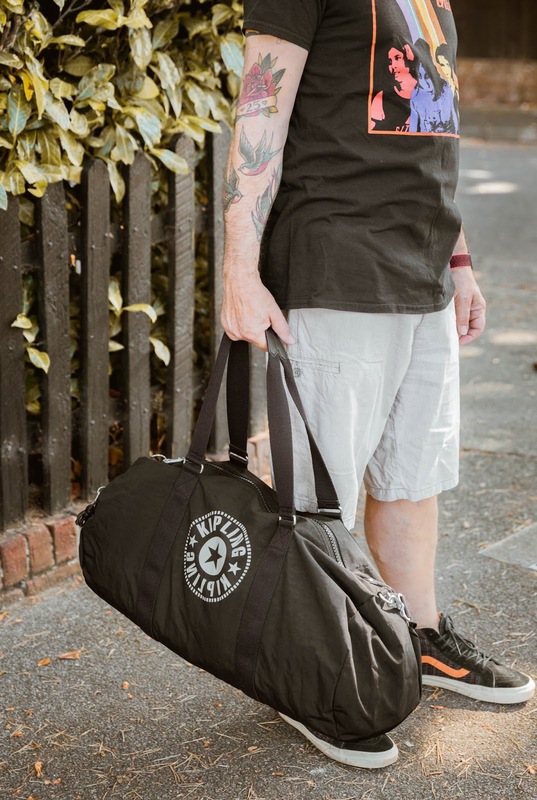 For the black bag we decided to pair a classic band tee with a pair of light colour shorts to add a contrast to the whole look, which we topped off with a pair of classic (and uber practical) vans that in turn tie the outfit together nicely. 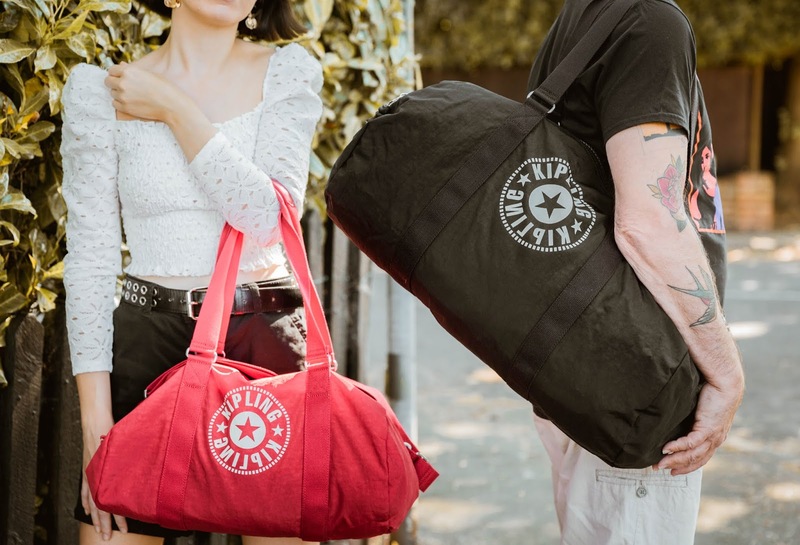 Needless to say Kipling's New Classics range offer the working person a collection of bags to suit their everyday needs, whether thats for the gym or work trips in between.